The Picnic Spot ZA is situated conveniently off a main road, just outside Pretoria, on a picturesque horse farm. It’s surrounded by the beauties of nature, including seasonal streams, small lakes and mountains – all home to several species of African wildlife. Mother-and-daughter team Caro Sykes and Chiara Myburgh created The Picnic Spot ZA to get people out of the city for an unforgettable experience. Chiara tells us more. The idea for The Picnic Spot ZA was born out of our love for the great outdoors and delicious food. We had a need to share our lovely property with the public. We hosted our very first event on Valentine’s Day in 2016. We offer everything from romantic picnics, proposals and weddings, to spa days, birthday celebrations, bachelorettes and day teas. We’ve been living on this property for quite some time and after a while, we decided that we wanted to share our piece of heaven with the public. We wanted to allow others the rare joy of the great outdoors in a safe, comfortable and easily accessible environment. This really was a one in a million type of property, as we searched high and low for many years to find the perfect setting. Although the property was out of reach for us at the time, we proceeded to contact the owners, only to find out the property would be auctioned the following day. We put in an offer, and the rest is history. The property is the perfect size, with a great accessible location, strong safety measures and infinite possibilities to support our ambitious dreams. The property also supports our involvement in equestrian sport, as well as the hosting of intimate indoor functions and a variety of outdoor events. We’re in the farmlands, on the outskirts of Pretoria in Zwavelpoort. We’re predominantly surrounded by cattle farmers, horse breeders and animal lovers alike, as well as an adventure park. This is an upmarket area bordering on the city limit and has acquired interest for future development from the city planner’s office. Property prices are on the rise, with most to be snatched up soon after initial marketing. 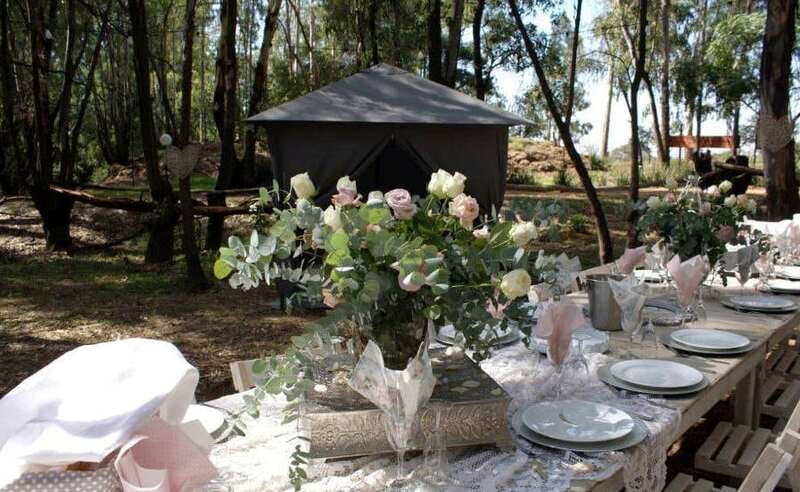 The Picnic Spot ZA hosts a maximum of eight personalised picnics or one large function per day as we consider every client’s event as a memory to be carried throughout their lives. We can accommodate anything from two to 120 guests for any single function. Absolutely! We wish to host small conferences, more art-and-craft workshops and hopefully a tea garden in the heart of the eucalyptus forest one day. We operate predominantly on Facebook (@thepicnicspot) with close to 5,000 followers. We’re also currently expanding to Instagram (@thepicnicspotza) for that picture-perfect reference. 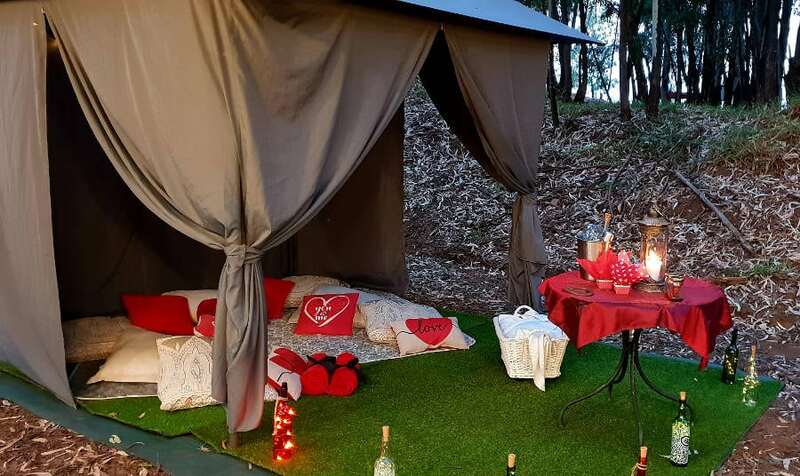 Most featured is our romantic celebration picnic for two; or our high tea in the forest.